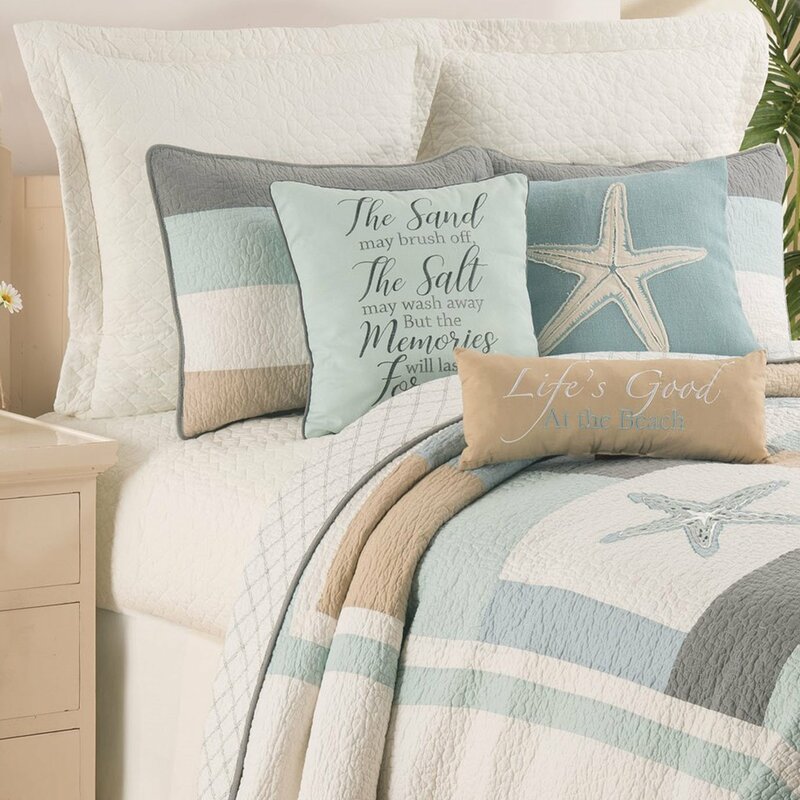 The Driftwood Shores quilt set has soft hues of aqua blue, dusty blue, sandy tan, gray, and soft white. Appliqued shell, starfish, and sea turtle highlight the design. The reverse is a coordinating geometric lattice design in gray on soft white. Quilted with vermicelli quilting design. Regency Soft White Matelasse is the solid coordinate. 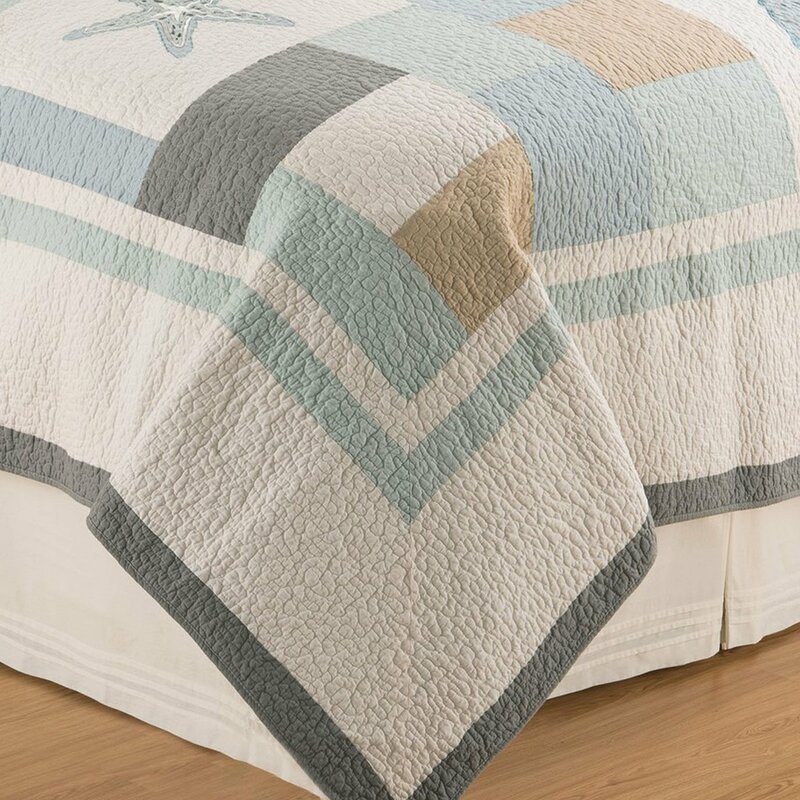 Product: Quilt, 2 King Shams. 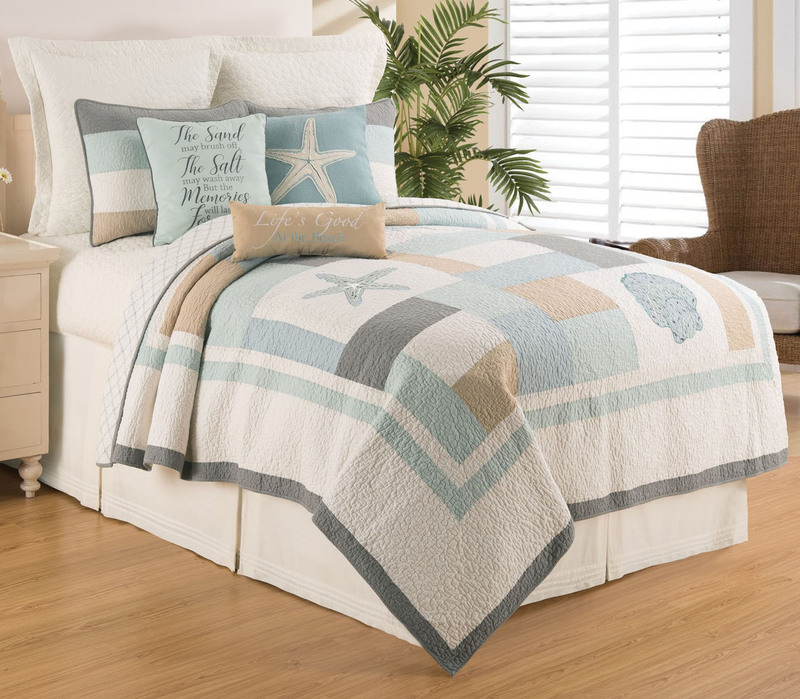 Product Measurements: Quilt 108 X 90; Shams 20 X 36. Material: Cotton/Cotton/Blend. Care instructions: machine wash. Maker: imported, made by C & F Enterprises.